Listings of sheep and beef farms were in short supply through the winter, with little of note offered to the market and activity occurring only at low levels. While this is generally the case during winter, the appetite to engage in land transactions seemed lower than ever this year. Demand for farms matches the level of properties offered. A handful of appealing drystock properties is likely to list for sale in the spring, however, which will attract interest. 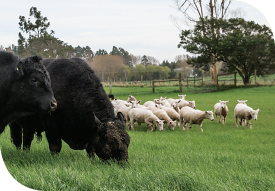 In the current favourable circumstances around commodity prices, bankers are reasonably positively disposed to finance purchases in the sheep and beef sector. Those selling are mainly doing so because they are at the right natural age and stage to do so, rather than for any negative reason. These spring listings should therefore result in satisfaction for both vendors and purchasers. Ten North Island dairy farms changed hands in June and July, compared to 36 in April and May, a more extreme market slowdown than occurs most winters. Spring’s rural property market may also be subdued, certainly when compared to last year, and upward pressure on prices is unlikely. Despite increasing positivity in dairy and an encouraging payout forecast, financiers remain hesitant to lend on property and farmers appear to have little appetite for expansion, preferring instead to rehabilitate balance sheets that suffered during the past few seasons. Dairy property listings in most North Island districts were cleaned out in the autumn and few properties remained available for sale during the winter. Wet and unfavourable weather in many regions also contributed to the lack of enthusiasm for winter farm transactions. How much that changes as spring progresses is uncertain. With sales through the winter minimal, as is normal in the sector while pruning and other off-season activities are in process, benchmark prices for Marlborough vineyards remain between $250,000 and $270,000 per canopy hectare in premium areas, similar to where they were in the autumn. Prospects for viticulture’s approaching season are excellent. Indications are that a significant quantity of desirable vineyards will come to the market during the spring. Land for development may also feature. These properties should encounter ample demand, particularly from outside Marlborough, as farmers change localities and land use, from farming dairy cows or crops to growing grapes. Those changing land use have already purchased two significant Marlborough vineyards in recent months, bringing new blood into the region and the industry. More are likely to follow. Corporate investors are also likely to remain active. Autumn’s market for kiwifruit orchards culminated in the highest price so far for a gold G3 property: $5.76 million for a 5.76 canopy hectare Te Puke property. This was the final gold kiwifruit orchard offered to the market for the season, had achieved an orchard gate return of around $160,000 per hectare, and had the crop still on when sold, hence the $1 million per canopy hectare price, 15 per cent above any previous sale. Subsequent transactions, in August, of another G3 orchard at $900,000 per canopy hectare, and the first $500,000 per canopy hectare green orchard sale, suggest demand remains strong. Whether financing will support purchases at this level in the new season, from late October or November after the 2018 crop has set, is less certain, particularly with indications of $300,000 per hectare to acquire a G3 licence this year. Two Mid Canterbury arable properties in New Zealand’s premier cropping country sold in winter: a 160 hectare farm for $53,000 per hectare and a 144 hectare property for $57,000 per hectare. As both sold at auction, signals to others considering listing were obvious, and with those values between $5,000 and $7,000 per hectare ahead of where the market was in the autumn, the case for other owners looking to capitalise is convincing. These sales indicate cropping farms carry a 10 to 15 per cent premium on the value of similarly located dairy farms, despite the additional farm infrastructure and irrigation consents necessary for dairy. Although prices for wheat and barley are good at present, forward contracts are less encouraging, which suggests the current high value of arable farms may not be fully maintained in the spring market. Asian markets are keeping demand for export quality timber high, with China, Korea, India and Japan all eager for New Zealand logs, and export prices at a 12-year high. Many plantations were established in the early 1990s, so New Zealand timber production is set to peak in the next five years. However, since demand keeps growing, that is not cause for concern. Benchmark transactions for forests approaching maturity are around $25,000 per hectare, including land and trees. After harvest, purchasers stand to net around $30,000 per hectare, and higher depending on quality. As this is a long-term investment, some are realising capital when they need it, rather than cashing in on the logs post-harvest. Buyers are coming in, with a reasonable balance between supply and demand in forestry property at present, and sufficient interest to purchase any property offered.